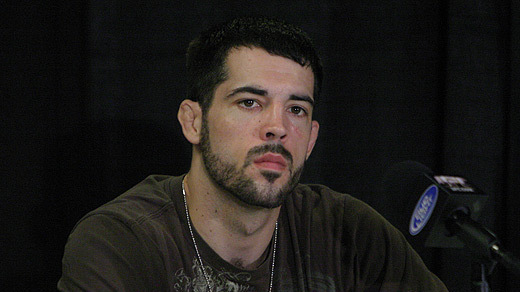 Matt Brown gained the victory against John Howard at UFC Live 4 -- a win which saved his job. The Sunday’s welterweight match-up is probably one of the most unforgettable fights for Matt Brown, as he beats up John Howard by unanimous decision. Aiming hard for the title, the two players have performed a really great game. However, only one has the right to own the victory — and it seems that John Howard failed to do so. Albeit the event is not thrilling as expected, the UFC Live event last Sunday was already enough for Matt Brown to save his career. He hadn’t gained any victories after defeating James Wilkes in 2009. “I just had fun. Mad props to Howard — what a f**king warrior he is”, Brown commented without promptly realizing that he just said these words on live television. Meanwhile, John Howard is wondering if he would still get the chance to show off his skills inside the ring. The match had brought Matt Brown a record of 12-10, while 14-7 for John Howard.